Our Member Spotlight for the month of February is Parkway member Liam Draxl! Liam has been doing some amazing things at the Australian Open and we are so proud of him. Check out our interview with him up on our blog! Check out the latest piece from Mayfair Parkway’s in-house Squash Pro, Cole Osborne as he provides some top tips to improve your Squash game! Read his article on our blog! Join us on Family Day for a fun day of complimentary activities for the whole family! Activities include family boxing, family yoga, complimentary programming in Kidspace between 10:00am – 1:00pm and much more! Bring a guest complimentary for the day. Registration for classes will be required at front desk. Please contact Laura Tichonchuk westcoordinator@mayfairclubs.com for any additional information. The Wilson/Mayfair Senior ITF Tour returns on Family Day long weekend. This is your chance to compete against some of the best senior players from Canada and around the world. We offer singles draws every five years from age 35 to 70, doubles draws every ten years from age 35 to 65. You can register online at www.itftennis.com/ipin by February 5th at 9am. For more information, contact Tournament Director Josh Weissman at extension 4245 or via e-mail at jweissman@mayfairclubs.com. The three-month Winter session of the Mayfair West Singles Challenge Ladder begins on January 15th and runs until the end of April. This is your chance to play singles matches and be grouped with players based on your tennis rating. Box winners will receive monthly prizes and there will be session prizes handed out at the end of the three-month session (January to April) for the players with the most points and for those who played all their matches. The cost to join is $30 + HST (which covers participation until the end of April) and registration forms will be available at the front desk. For more information, contact Josh Weissman at jweissman@mayfairclubs.com or at extension 4245. Mayfair West will have a variety of Ladies’, Men’s and Mixed Doubles Leagues for players of various skill levels. Ladies Leagues are available Tuesdays and Wednesdays 10:30am – 12:30pm and Thursdays 11:30am – 1:30pm for home matches. Mixed Leagues are available on Saturday afternoons 3:30pm – 5:30pm for home matches. Men’s Leagues play 5:30-7:30pm for home matches. If interested, please contact our Tennis Coordinator Danny D’Aleandro at extension 4232 or via e-mail at westtennis@mayfairclubs.com. Elite Group Training is done in groups of 3;6 people. The emphasis is on functional core movements that benefit both the cardiovascular and strength systems. Training is performed on the Connexus Perimeter units. Trainers use state of the art core training tools. Please register on line at www.mayfairclubs.com via Motion Vibe. For more information, contact Kerry Lloyd at 416-220-1015 ext. 4225. Rita will take you through a complete fitness appraisal that will determine area’s that you need to improve your tennis game. The appraisal is designed for tennis players and suitable for all ages. Please contact Kerry Lloyd 416-220-1015 ext. 4225. Athletic Yoga incorporates an intense flow of postures to build strength of body and mind, increasing stamina amidst a calming environment. See the full group exercise schedule at mayfairclubs.com. This is a fun, high energy class that is ever changing. Although it is a bootcamp class, it’s nothing like you’ve done before. We use hammers, bosus, trampolines, weights, heavy ropes, TRX and much more. Class spirit is a major staple of this workout. The best part is that you as the participant get to call some of the shots. Bring a friend and don’t miss it. See the full group exercise schedule at mayfairclubs.com. Power Pump is a head to toe workout that incorporates barbells, dumbbells, core and functional training into one highly intensive workout. The benefits include bone health, balance, improved range of motion, along with overall muscular strength and conditioning. This will be a great compliment to the Group Power class. Please note that this class will be set up as a week on, week off class. The time slot will be shared with Group Power taught by Kerry Lloyd. See the full group exercise schedule at mayfairclubs.com. This is a fun, high energy class that is ever changing. Come sweat it out to the rhythms of Salsa, Merengue, Cumbia, Bachata, Reggaeton, Calypso and other Latin beats. No experience is necessary. Bring a friend and don’t miss it. See the full group exercise schedule at mayfairclubs.com. Functional Spinal Health is a class that promotes overall joint health but pays particular attention to spinal health. You may notice an improvement in joint mechanics, Increased blood flow, reduced pressure on the discs of the spine, reduction of pain, spinal disc re-hydration, better muscle tone, improved posture and a general sense of well-being and awareness. Come try this amazing class. See the full group exercise schedule at mayfairclubs.com. This is a fun, high energy class. This class provides an ideal combination of the aerobic requirements of a step class with the endurance demands of a body sculpting class. See the full group exercise schedule at mayfairclubs.com. This is a high energy interval circuit class that combines Cardio & Strength, Flexibility and Core work for an all-out full body workout. Not to be missed. See the full group exercise schedule at mayfairclubs.com. This is a class that will help you lose body fat, gain strength without bulk, decrease your risk of osteoporosis, heart disease, diabetes, back pain, and improve athletic performance. This should be a staple of anyone’s workout. See the full group exercise schedule at mayfairclubs.com. This class is focused on centering your breath and body, aligning the physical and mental by practicing stillness or gentle movement for an extended period of time. Props are used to assist in holding poses for longer periods of time. See the full group exercise schedule at mayfairclubs.com. Registration Opens on Tuesday February 19th 2019. Our preschool levels are designs for students from ages 2-5. Students work on their floats, glides, flutter kicks, side breathing, and front & back swim. Swimmers are taught the proper swim techniques and skills. Our swim instructors work with each child individually to make sure that they are taught the proper swimming skills and techniques. Each student will be working on progressive steps throughout the session in order to accomplish the swim levels. Private, Semi-private or Group lessons are available. Classes are 30 minutes, 45 minutes or 1 hour. For more information, contact Sally, Aquatics Supervisor, at westaquatics@mayfairclubs.com. Semi-private classes and or Group lessons are available. The Sport program focuses on all stroke improvements, sprints and endurance changes. Participants will complete challenging skills sequences, covering all swim strokes and some pre-lifeguarding skills. For more information, contact Sally, Aquatics Supervisor, at westaquatics@mayfairclubs.com. This course is for students who has completed all swim levels and are looking for a challenge. Swim patrol training puts your child on the path to Lifeguarding. For more information, contact Sally, Aquatics Supervisor, at westaquatics@mayfairclubs.com. Bronze medallion and Bronze Cross program programs are design for all candidates who are seeking a trill in the lifeguarding challenge. Bronze star candidates must be 12yrs old. Bronze Med candidates must be 13 year of age & Bronze cross candidate must be 13+ and have bronze medallion +emergency first aid. For more information, contact Sally, Aquatics Supervisor, at westaquatics@mayfairclubs.com. This unique swim class for parents and tots (5 months -2 years) is a great combination of fitness and fun for everyone. Each 45-50-minute class includes an Aquafit workout for parents, followed by a parent and tot swim program. For more information, contact Sally, Aquatics Supervisor, at westaquatics@mayfairclubs.com. This program is designed for swimmers who have completed their swim levels and want to improve their overall physical fitness in the water. The swim team provides a structured approach based on training principles and practices. Participants will be encouraged to set their own goals through interval training. For more information, contact Sally, Aquatics Supervisor, at westaquatics@mayfairclubs.com. All participants must know how to swim! The Adult fitness swim program is for individuals seeking an alternative to conventional fitness. The program is designed to enhance competitive swimming abilities, improve swim stroke technique and personal fitness. With proper training, you will build up endurance so you can swim continuously without stopping. You will also improve swim strokes and breathing through drills. For more information, contact Sally, Aquatics Supervisor, at westaquatics@mayfairclubs.com. Refer a new swimmer and receive a $10.00 discount. Referred students must be someone who has not previously taken swimming lessons at Mayfair Clubs. For more information, contact Sally, Aquatics Supervisor, at westaquatics@mayfairclubs.com. 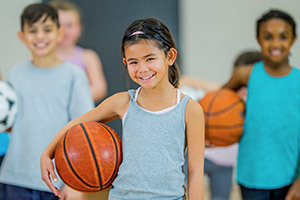 This February, fill your child’s PA Days by learning specific sport skills and drills. Morning, afternoon and full-day options available, as well as lunch options for morning and full-day campers (at an additional cost). Swimming is included in the afternoon session for a refreshing end to a fun-filled day. Member pricing is $55 for full day, $35 for half day (non-member pricing available as well). To sign up, contact Laura Tichonchuk at westcoordinator@mayfairclubs.com or at extension 4248. Camp registration forms available on our website. Available this February. Treat yourself or someone special in your life to one of our Wellness Spa packages. Call the Wellness Spa to book. *Offer cannot be combined with other promotions. Available this February! Services may be scheduled separately. Offer expires on Feb 28, but services may be scheduled until March 15. Available at Mayfair Parkway, Lakeshore and West locations. Order an entree from our All-Day Bistro Menu and receive a complimentary basket of Sweet Potato Fries.